Outdoor picnics often bring unwelcome guests. Bugs. Ew. This summer tip will help your kids enjoy their drinks without unwanted “extras”. 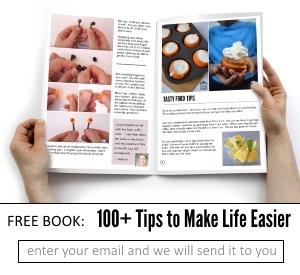 Grab a cupcake liner. 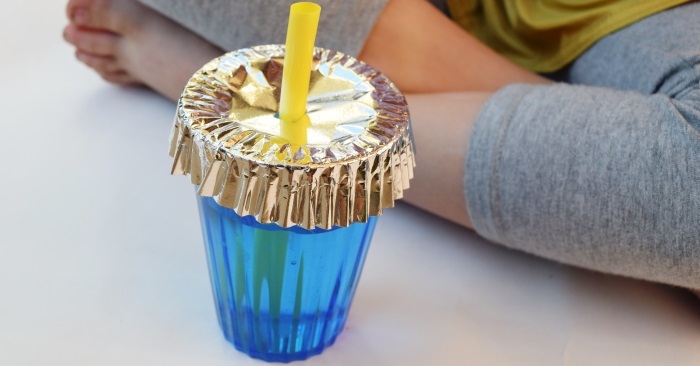 Poke a hole in the bottom of it and wrap it around your cup. You can use the paper liners if your cup rim matches the size of your cupcake liner, but if it doesn’t grab one of the foil ones. These will shape to your cup more easily. 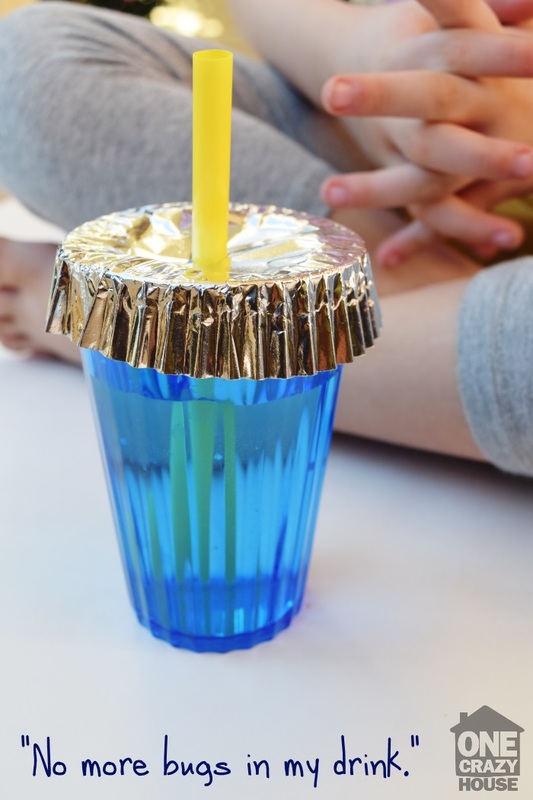 Now you can drink your lemonade in peace – without the bugs grabbing sips! P.S. Don’t use this tip with kids under the age of 5… at least mine are preconditioned to think that this is a lid and they dump it on themselves. Good Times.